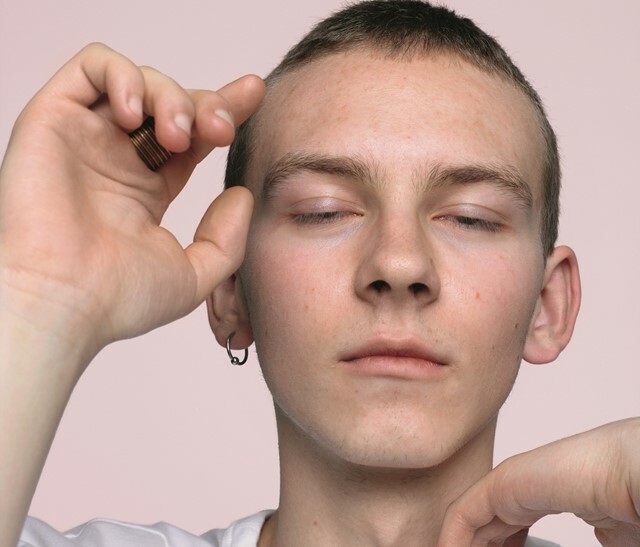 One of the most exciting designers to come out of New York’s new underground fashion scene within the last year is Canadian designer Vejas Kruszewski. The Toronto-based maverick’s eponymous label made its debut for AW15, when Kruszewski partnered with stylist Marcus Cuffie to showcase a tough-yet-tender take on futuristic, genderless dressing at New York Fashion Week. A battalion of bare-breasted, post-apocalyptic survivors (including one Hari Nef) walked the runway with oil-streaked faces, a look inspired by the horror-movie concept of the ‘final girl’. It was clear this newcomer had the fierce ambition, unique vision and assiduous dedication required to herald a brand-new take on luxury, and even make a legitimate business of it.